If you read my blog regularly, you know that I love vintage ephemera, including Roadside Americana postcards. I always look through boxes of postcards at estate sales, flea markets, antique shows -- and enjoy selling them in my store's postcard department. 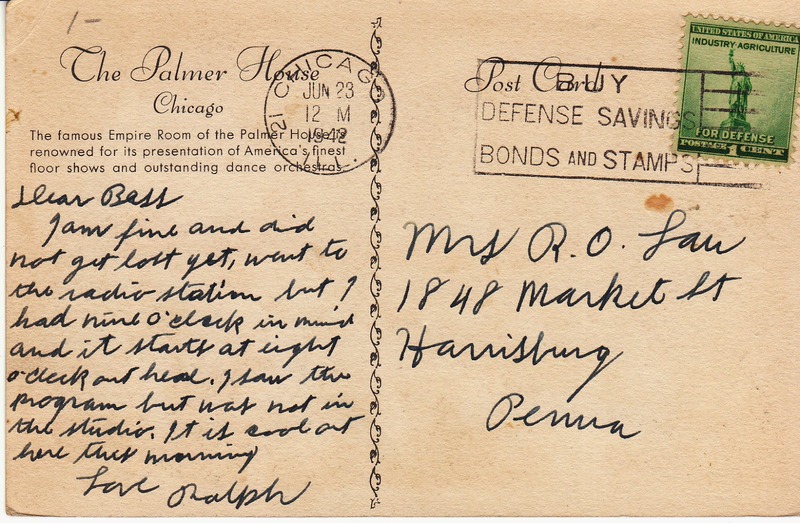 Often the postcards have a clear postmark, like the 1942 above. That is great! We now know an exact date of the card. However, I frequently find postcards and envelopes with a smudged or illegible postmark. How to date that card? It's easy with The History of Postage Rates, a great website resource for ephemera fans. You can look at the postage stamp and get an idea of the card's date using the chart at the site. For instance, if you had a postcard with a 4 cent stamp, you could check the chart and see that this card was sent between 1963 - 1968.